History Of Distillery District: The district was founded in 1832 brothers in law William Gooderham And James Worts. 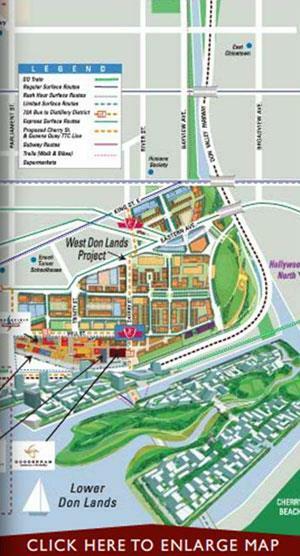 The distillery consists of 13 acres of east downtown lower Toronto with 40 plus building currently consisting of restaurants shops and cafes. During the British colonization the distillery district became the largest distillery in the British empire. It provided 2 Million gallons of whisky. Currently the distillery district in Toronto has the best preserved collection of Victorian architecture in North America. Allowing creative thinking this area combines history and modern art. About The Condo: Like the unique location of the condo the Gooderham Condo also offers a unique architecture. With breathtaking panoramic views and a 9ft ceiling. This 36 storey tower gathers light from different angels and relect it out over the city. The Tower Suites start from 493 sqft to 883 sqft. The Signature Suites start from 935 sq ft to 1199 sqft. 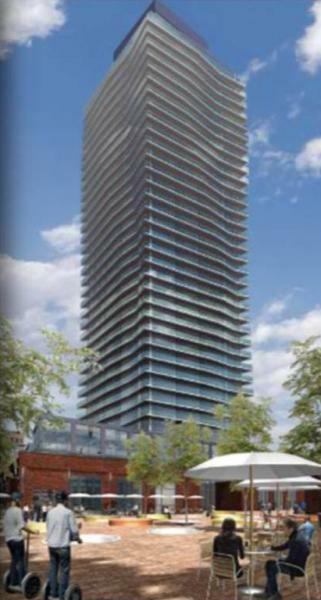 Building Amenities: The Gooderham Condo offers 3 floors of amenities. The third floor offers a terrace yoga/pilates area steam room and a sauna. It also offers a movie lounge, children's play area and a games room. The whole fourth floor is dedicated to fitness offering a work out area from cardio to weights. Finally the roof tops offers tranquillity where after a long day can just soak up the sun. With an outdoor pool, indoor/outdoor Yoga studio, cabanas, hot tube, BBQ area, fireplace and a lounge; the roof top is a great place to unwind. Drop Us A Line For More Information On The Gooderham? See What's Available..